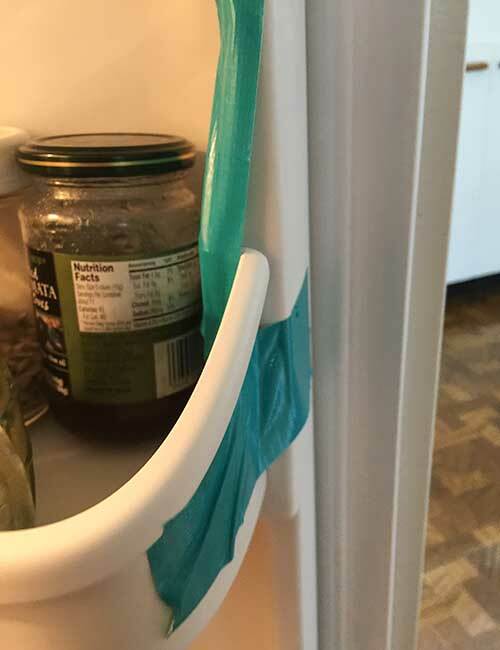 If you recall, back in March our condiment shelf on our refrigerator door broke. I eventually called Sears and the nice person on the phone found the part and arranged to ship it to me for about $50. You can imagine my disappointment when my condiment shelf broke again, barely 6 months later. We could play solve the mystery about why this shelf keeps breaking but that’s not what I’m writing about here. I called Sears again since I’d already done this once and the person asked me for the model of my fridge. I read the number I had in front of me and he said that wasn’t a model. I read other numbers that I had in front of me and he asked where I was getting those from. From the little book that came with the refrigerator. Can’t you just go look at the refrigerator? He described where I would find the model number. No, I said. I’m at work. I need a job so I can pay for all these condiment shelves. Don’t you have it in your system? SEARS! It is 2018. There are online retailers who can tell me what I bought 10 years ago. You need to get with the program.